Elecosoft is a leading developer of IT tools and services targeted at the construction and installation industry. All our software is designed to make your life easier with planning, estimating and follow-up. The idea is to make everything run as smoothly as possible, leaving you free to concentrate on what you do best. Our services are mainly linked to the programs we supply and customer-specific software development. Since 2003, Elecosoft Consultec AB is owned by a British company Elecosoft plc. In Elecosoft plc we have a stable parent involved in software development. We are all builders and installers at heart, and this is one of the reasons for our market-leading position in many areas. We understand the needs of the industry. Without an industry background we’d never be able to develop user-friendly IT tools to make your life easier. And you’d never trust us to provide relevant training and support. For us, it isn’t enough to know about the program – we need to know about the industry too. Find out more about Elecosoft’s software and how it can make your life easier. Find out more about our Elecosoft’s service offering. Check the vacancies at Elecosoft. 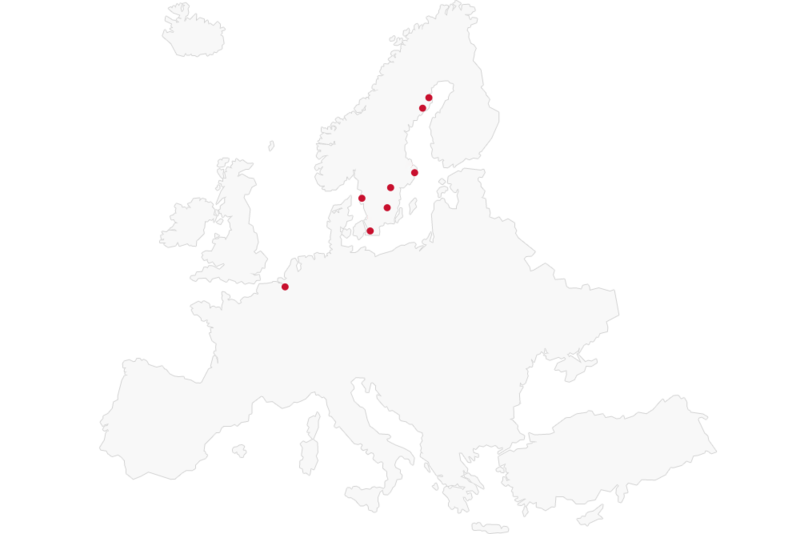 Elecosoft has about 80 employees in Skellefteå, Umeå, Stockholm, Gothenburg, Växjö, Malmö and Gent. To contact us, click here. Do you see a future with Elecosoft? Check our vacancies. We started in 1974 as a spin-off from a construction company in Skellefteå, initially working as an architectural and design office. Known at the time as Utec Consulting, the company was part of a major group of companies associated in various ways with the Lövgren brothers. Mats Lövgren took over as CEO of Consultec AB (now Elecosoft Consultec AB). Mats restructured the company and established the business philosophy that still applies today. Computer tools became a growing part of the service offering in the 80s, and in the early 90s, work started on the IT tools that have new become market leaders. The first software to be developed for the construction industry was a roof truss program. Activities relating to the roof truss program were later moved to a separate company called Construction Software Center Europe. We started a collaboration with DDS (Norway), and by 1985 Consultec Arkitekter & Konstruktörer AB had become resellers of the CAD program DDS-CAD. From the start, DDS-CAD was targeted at house manufacturers and kitchen suppliers. Consultec AB acquired Prisinfo i Växjö AB. Prisinfo i Växjö AB, a software development company, created the Kalkyl2000 estimating software. 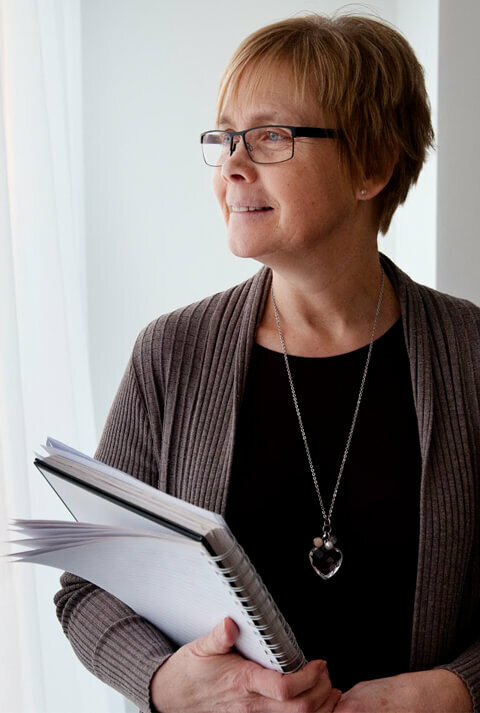 This was an important step in Consultec’s history because it gave use a foothold in southern Sweden and introduced us to our first 200 customers in the field of estimating. Even before the acquisition we had already started developing an estimating tool for the construction industry, called LexCon. The acquisition brought in additional expertise, giving a serious boost to development of what became BidCom. Until 1992, most activities were carried out under one roof in Consultec AB. The different departments were hived off in 1992 to form Consultec ByggProgram AB, Consultec Arkitekter & Konstruktörer AB and Consultec ByggTeknik AB (renamed Consultec System AB in 2002). StatCon, the design program for roof trusses, was launched at a trade fair. The same trade fair saw the launch of the LexCon estimating program. A collaboration with PlanMan Oy (now called Artemis Oy) was launched and Consultec ByggProgram AB became a reseller of the PlanCon planning program. 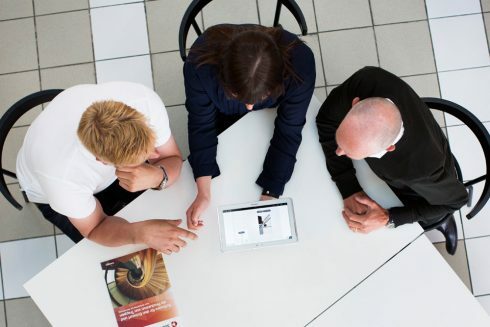 StairCon, our design, sales and production software for stairs, was launched in Sweden, Norway and Finland. We started working on StairCon in 1996. AMAConda, a program that helps users create purchasing agreements, was launched at Nordbygg in early 2000. Consultec ByggProgram AB acquired Elanalys Data AB in Gothenburg. Elanalys was a service company with 12 employees developing software and providing consulting services for the electrical industry. The company’s ElWind software is the market-leading electrical estimating and project management tool in Sweden. The Consultec group now had estimating software targeted at the construction and electrical segments. The acquisition meant that Consultec ByggProgram AB also became a reseller of FebDok, a sizing and documentation program for electrical installations. The SiteCon project management software was previewed at the Nordbygg trade fair in Stockholm in March 2002, and launched the same year. In December 2002, the Consultec group was taken over by the British company Eleco Plc. Eleco plc is a stable parent involved in software development as well as construction. Our new owners opened up new international opportunities, which was the main reason for the move. Consultec ByggProgram AB acquired Ten Data AB in Växjö. Ten Data is a knowledge-based enterprise with 20 years’ experience of software development in the plumbing industry. The product range encompasses everything from estimating programs to custom-built business systems, and there are customers around the world. This means that Ten Data is moving Consultec ByggProgram AB closer to its goal of becoming a complete supplier of software for the entire construction sector. StairCon was launched in Canada and the USA. An important service for the HVAC industry was given a new lease of life when Consultec ByggProgram AB acquired Katalogtjänst in 2005. The acquisition means we are now able to offer services in electronic and printed form. A collaboration with AddMobile meant that the Consultec group was able to offer mobile solutions for the TenWin and SiteCon software. Eleco plc acquired the British company Asta Development. As a result, Asta’s MD Michael McCullen succeeded Mats Lövgren as head of the software division. BidCon, the new-generation estimating program, was launched for the electrical industry. Consultec ByggProgram AB acquired Stockholm-based Lubekonsult, which offered consulting services and IT services for the ventilation industry. The acquisition helped Consultec with its ambition of becoming the obvious choice of partner in the construction sector. Consultec Arkitekter & Konstruktörer AB acquired the architecture firm Nilsson & Sahlin Arkitekter. They have unique expertise in modern timber architecture, strengthening the Consultec group and opening up a number of interesting contracts throughout the country. This merger of two architecture practices was an important stage in the development of Consultec Arkitekter & Konstruktörer AB. Novator Projektstyrning AB is acquired by Consultec ByggProgram AB. The acquisition added the Powerproject project planning program to Consultec’s range and also injected additional expertise into the organisation. Consultec launched a shared communication platform for the companies in the group and clarified its offering by highlighting its two components: Software and Services. The company also launched a new graphical profile and a new web site. As a step to become a market leader in software the Elecosoft group decides to sell Consultec Arkitekter & Konstruktörer AB. Consultec changes name to Elecosoft. “My first contacts with Elecosoft occurred in 1999 when I externally helped the company with some services. Already in 1999, I experienced Elecosoft like a good comapnuy to work with. It was a company that listened and embraced the external thoughts and desires. My contacts with Elecosoft progressed and in 2008 I got a job at Elecosoft. I have had and the privilege to talk to very many entrepreneurs. They are all working to be more effective in their administrative work. I have seen how they have been helped by the programs we offer – both in terms of calculations, project plans and project management as well as design, CAD drawing and drawing steps. The Elecosoft group of companies develops and delivers innovative ideas and outstanding software and services with cutting edge technology, to the project management, construction, pharmaceutical, timber engineering and design, 3D visualisation, data compression, site control, stair design, flooring and marketing sectors principally in the UK, Scandinavia and Germany. Developer and supplier of 3D home design and visualisation software. Developer and supplier of software and services. Supplier of project and resource management software. Developer and supplier of 3D design software. Developer and supplier of solutions for the floor coverings industry.